This is an excerpt from Chapter 9: The Ultimate Guide to Recording Vocals, from Recording Strategies – Planning the Perfect Session. Oh vocals. It’s the most important thing in popular music so you need to get it right. This means dealing with the artist, setting up correctly, using the best microphone as well as dealing with in-the-moment situations when they appear. Hopefully, after reading the following chapter, you’ll be well-versed in the ways of recording vocals. If you don’t have the advantage of a fully treated vocal booth, then there are some things you can do to minimize the home-sound from your home recording. 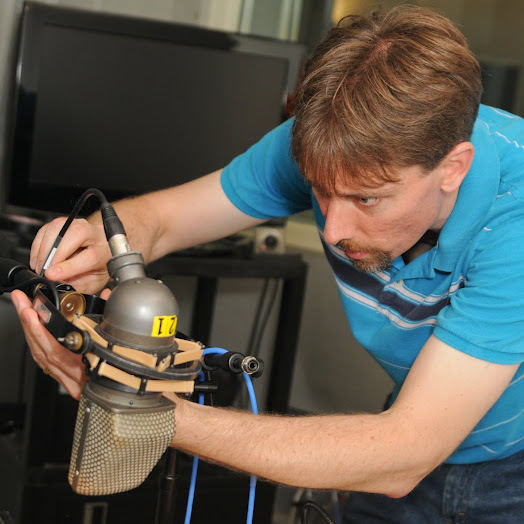 Eliminating reflections is a big issue to getting a great vocal sound. You don’t want the vocal to bounce around the room and end up in your microphone. You only want the vocal sound from the mouth of the vocalist. There are two types of reflections you need to deal with, from the front and from the rear. If you are using a cardioid microphone pattern then reflections coming back toward the microphone won’t be picked up that much. That said, you shouldn’t around my microphone to eliminate reflections coming from behind and the sides. The bigger thing to worry about is the reflections coming from the back wall. When your vocalist sings, the sound waves will bounce from the wall in front of him and then bounce back to the wall behind him, and finally bouncing from there into the microphone itself. This will color your vocal sound with all that unnecessary room sound you don’t want. The way I have it set up in my home studio is I have the Reflexion filter on the stand guarding from any reflections coming from the front walls, and then I stand in front of a well-padded wall that absorbs the reflections bouncing into it. That way I get a fairly clean vocal sound without any of that pesky room sound. You don’t need the Reflexion filter if you don’t want to spend the money. Try putting up microphone stands around the microphone and drape them with thick blankets. Do the same thing with the back wall. .
Everyone seems to focus on the mouth, which makes sense, but it is not the only source of sound. I think the whole head and chest contribute to the way we hear a voice naturally. Whenever someone eats the mic, it never sounds natural. So, if a performer is giving you exactly what you want before a mic is involved, the trick is to use the mic to capture that, not some isolated part of that. This was an excerpt from Recording Strategies – Planning the Perfect Session.